Today’s guest post comes courtesy of Sarah Morris, lifestyle, family and education writer for Primrose Schools. See how your child’s preschool experience is the best it can be at Primrose. According to the American Heart Association, childhood obesity is now the number one health concern among parents—topping even drug abuse and smoking—and with good reason: 1 in 3 kids and teens are overweight or obese. The American Academy of Pediatrics recommends that all children engage in at least 60 minutes of moderate physical activity every day. Lack of exercise and unhealthy eating habits have caused the number of overweight and obese children to nearly triple in the last 30 years. Experts agree that children who develop basic motor skills by engaging in regular physical activity including skipping, jumping, throwing, catching and balance are more likely to grow into healthy adults. Regular exercise may also improve their academic performance. The proper physical and mental development of your child is dependent on acquiring these basic skills. The statistics show that most children are not getting the exercise they need for proper health. But there is something you can do! 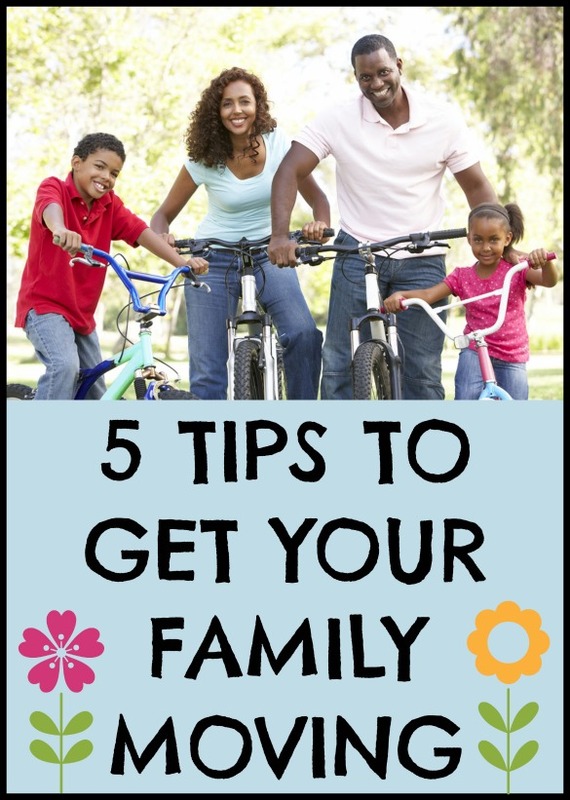 Try these tips to make physical activity a daily part of your family’s life. 1. Play it safe. Always provide the proper safety equipment. Childproof your home and provide adequate supervision so that children can safely run, jump and play indoors and out. Balls of all shapes and sizes, musical instruments, skipping ropes, bats, hockey sticks, racquets, paddles and bean bags. Sidewalk chalk or paint, bubble solution, flying discs, hula-hoops and kites. Ride-on cars, tricycles, bicycles, roller skates and the correct safety equipment to accompany them. 3. Be a role model. Become an active participant in your child’s games and play. It’s good for them—and good for you! A few fun activity ideas: Blow soap bubbles and chase them around the front yard; take a family hike around the block or to a neighborhood park; use sidewalk chalk to create homemade and colorful hopscotch or four-square grids; turn up the music and do the hokey-pokey; run in the sprinklers or splash in a paddling pool on hot summer days. 4. Praise every achievement. If your child’s first attempts are not successful, level the playing field. If they can’t throw very far, move closer. If they can’t pedal the tricycle, cheerfully go back to the ride-on. Reward every attempt and even small gains. Children who feel they are not meeting expectations will often become discouraged and give up. Make sure to emphasize that games and play are supposed to be fun, not a competition. 5. Use specific words to acknowledge their efforts. A child at any skill level will benefit from the praise of a kind and supportive coach. The moment your child arrived, she began to discover and grow. Every day she grew stronger, learning to roll over, to sit, to crawl, to stand and then to walk, run, skip and kick. Children have an abundance of energy that longs to be burned. Take the time to play with your child and harness that energy into a healthy habit of daily exercise that will last a lifetime.